Notepad++ is a portable notepad that users like computer programmers will find enormously useful, because it offers something the regular Notepad doesn't: numbered lines. Numbered what, I hear you ask? 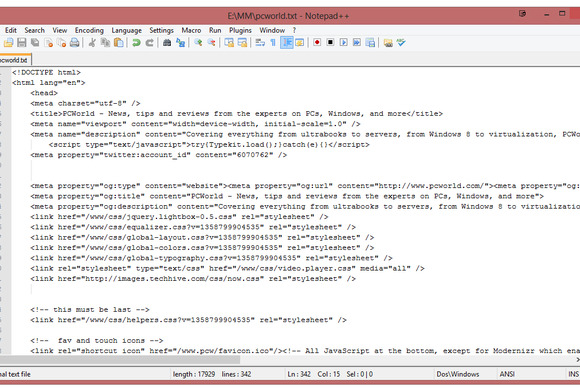 Notepad++ offers line numbers, which is very useful for programmers. Other smart features include zooming in and out (handy if you have bad eyesight), macro recording and playback, and tabbed notes, so you can have multiple notes open in the same window and click back and forth between them. It also offers colour syntax coding, which makes reading through programs easier. Notepad++ is also smaller than Notepad, which results in less strain on your CPU. Notepad++ is also open source software, so if you have the technical know-how, you can examine the source code and make whatever changes you want to it, provided you don't charge for it. And since it's donationware, you can keep Notepad++ chugging with a donation to the developers. 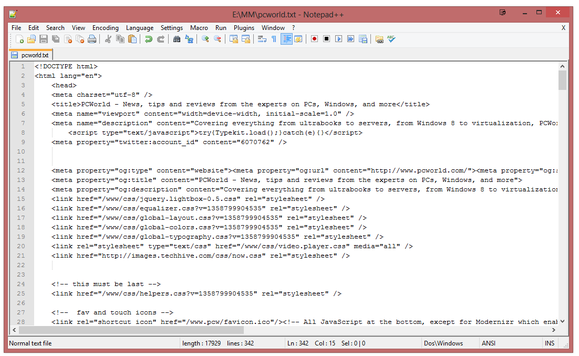 Numbered lines make Notepad++ an excellent text editor for programmers.